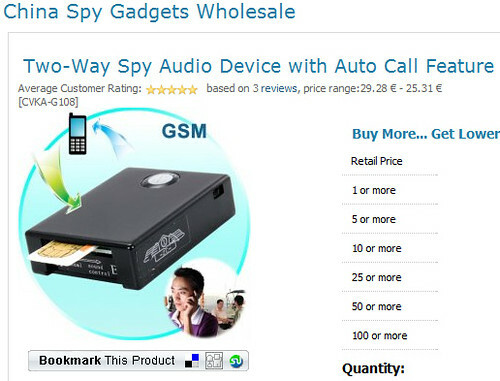 Blog Frisno: The social spy gadget? Don't just spy on others, let them spy on you too. Jokes aside, this is a little GSM gadget that can call you up and let you listen in on any noise it picks up.